"Spend 3 hours with me and you will know more about Pro Tools than 90% of all other users out there!" REthink Pro Tools is designed to help you unlock the power of the industry standard software - Pro Tools. Dude. Your videos have been amazing. I pulled up Pro Tools for the first time last week (former Cubase user) and I didn’t know what to do for the most part. I feel like a beast after watching REthink Pro Tools and the Solving Beat Detective And Elastic Time series. I’m so addicted to these vids! I just got your REthink Pro Tools/Beat Detective bundle and I wolfed it down. Great stuff, I genuinely feel much more at home with Pro Tools now coming from Logic Pro. It’s almost sad coming to the end of one of your video series as I feel like I’m saying goodbye to a mentor or friend! 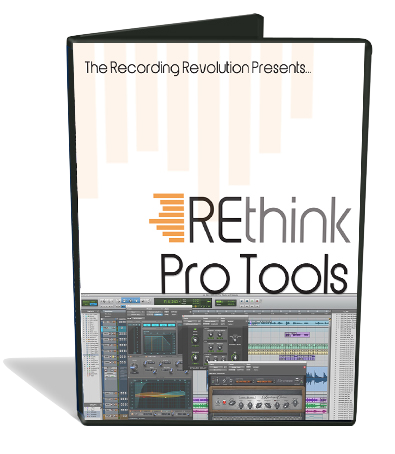 "With REthink Pro Tools, you benefit from my 15 years of experience as I share the best of what Pro Tools offers with you!" If you are not completely impressed with REthink Pro Tools, let us know within the first 60 days and we'll give you all your money back. If you're not happy, you don't pay. It's that simple. Signing up for REthink Pro Tools is quick... Within minutes you'll see just how powerful and simple to use Pro Tools really can be. With the 60-day no risk money back guarantee, it is a no-brainer. Sign up now!